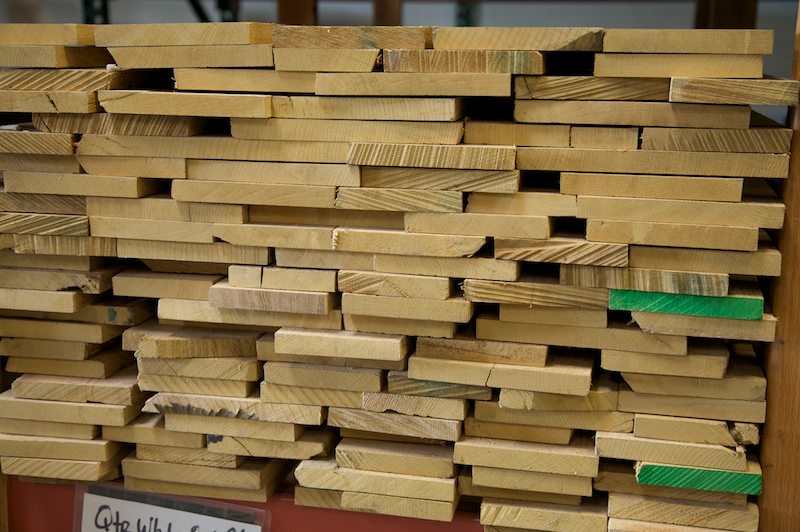 Hardwood lumber comes in thicknesses measured in quarters of an inch. 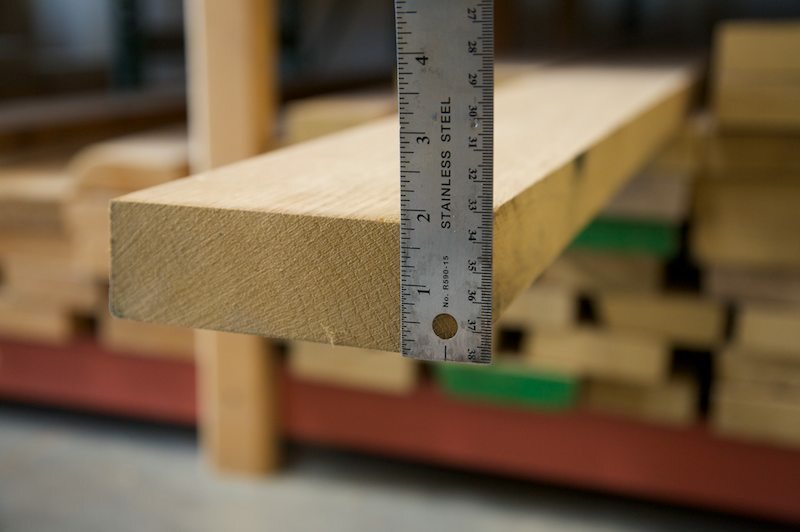 1″ lumber is called 4/4 (four quarters). 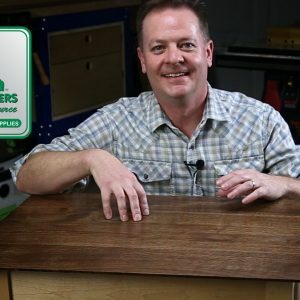 2″ lumber is called 8/4 (eight quarters). Here’s how they compare. 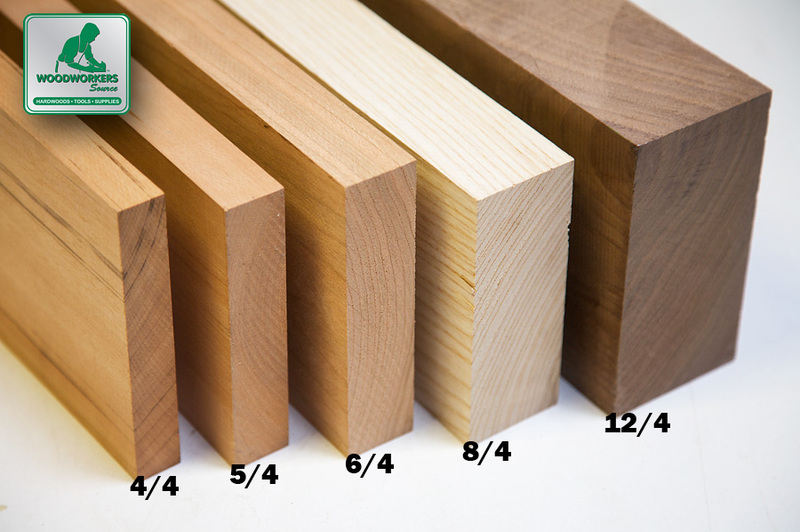 In short, these fractions are the names for the thickness of hardwood lumber. The thickness is expressed as a fraction, and goes in increments of quarters of an inch. However, this fraction is more of a name than it is a precise measurement. 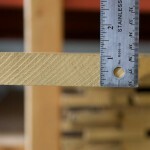 It tells you approximately how thick the lumber actually is. Why those funny fractions? I’m used to standard sizes like 1×6, 1×12, 2×8 etc. While you might be used to seeing sizes like 1×6 or 2×8 in lumberyards for softwoods (fir, pine, cedar, etc. 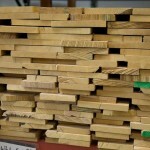 ), the hardwood industry takes a different approach. 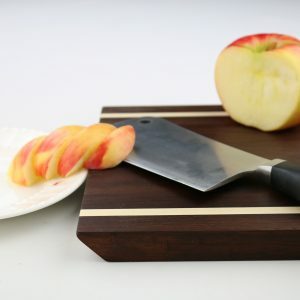 That’s because the primary users of hardwoods (red oak, cherry, maple, etc.) 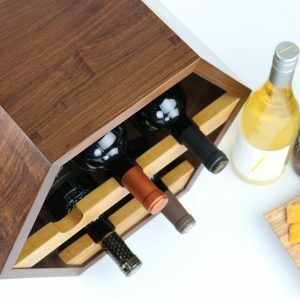 build custom or made-to-fit products – like furniture and cabinetry – where uniform sizes in the raw material is unnecessary and more troublesome. For example, there’s no standard size for kitchen tables, you can make one any size you want. So sawmills cut hardwood logs to get the best yield from a log, which means all boards will be various in width rather than the same width. If sawmills were to cut logs to specific sizes or uniform widths, that process would incur more waste and require more labor. Therefore the resulting boards would cost you more money. Who wants that? 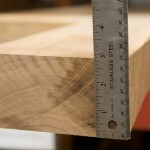 Softwoods that get sold in “standard” sizes like 1×6 and 2×8 are cut for particular applications that require those sizes. In building construction you’ll find standard and uniform sizes from building to building. Door jambs and wall studs for example. This system of naming lumber thickness by quarters was established by the National Hardwood Lumber Association. The organization was founded in 1898 to establish a uniform system of grading rules for the measurement and inspection of hardwood lumber. If we were talking you’d hear me say it as “four quarters,” which is short for four quarters of an inch. If you’re pretty snappy with numbers, you’ve already put together that 4/4 is probably one inch. To know what the actual measured thickness is, you need one more identifier such as S2S or RGH. 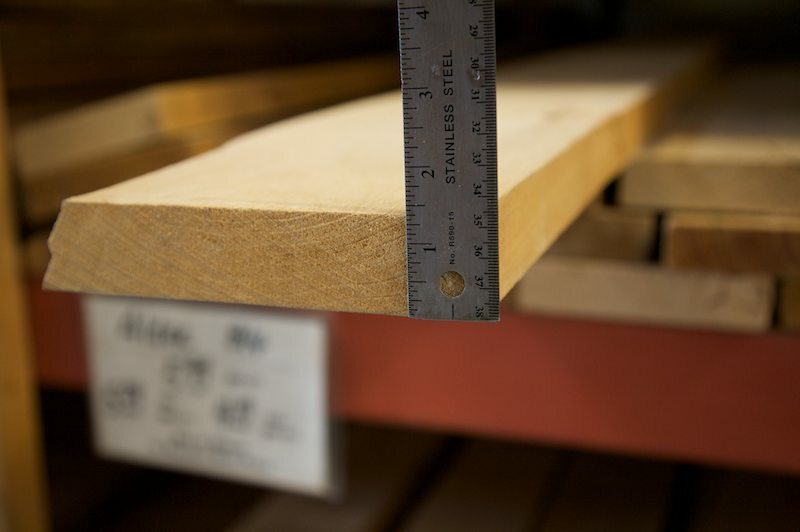 S2S means “surfaced two sides,” and RGH means “rough” and they describe the stage the lumber is in, surfaced or rough. But all lumber starts out rough. 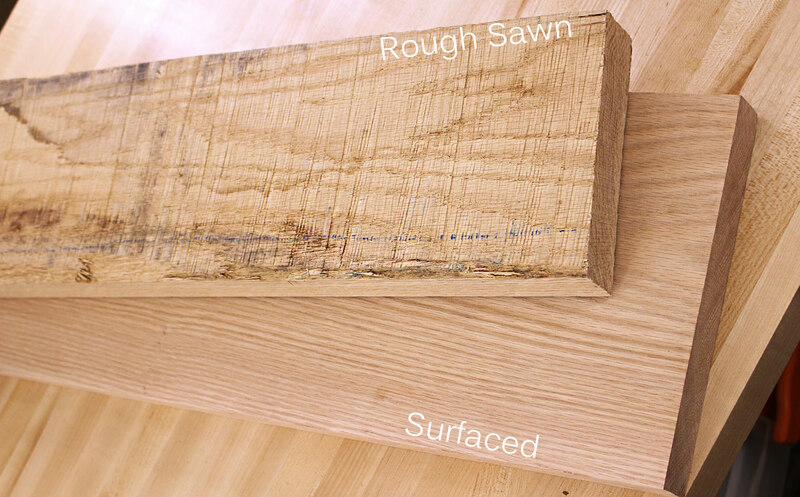 A saw that cuts lumber from a log is very large and aggressive, so the resulting lumber is known as “rough sawn” and the surfaces of the boards are . . . yes, rough and inconsistent. 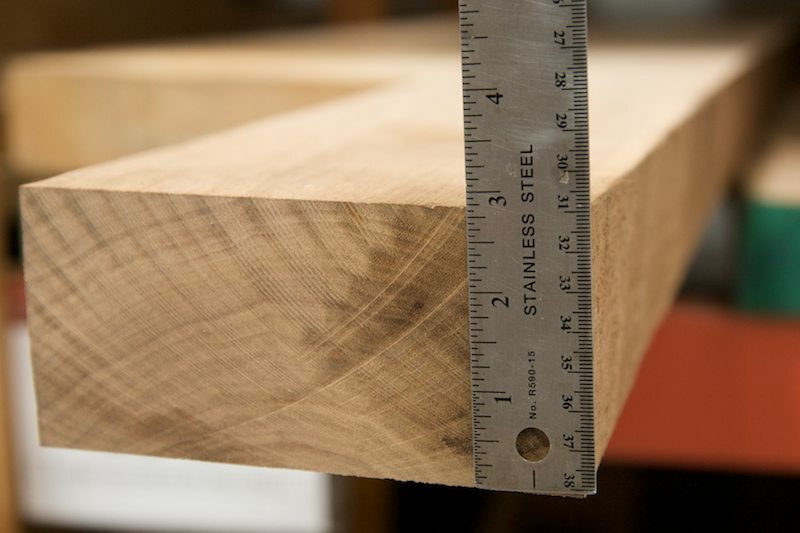 This lumber needs to be planed smooth and flat before being sized for the project at hand. 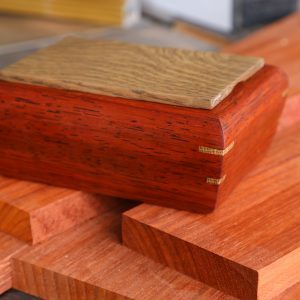 Rough lumber needs to be dressed with a planer and/or jointer and this is where a lumber dealer like Woodworkers Source has to make a tough decision. 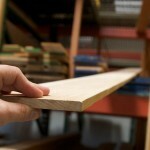 Have the lumber surfaced smooth and clean, or sell it rough? There are benefits to both, but it’s impractical to stock both. 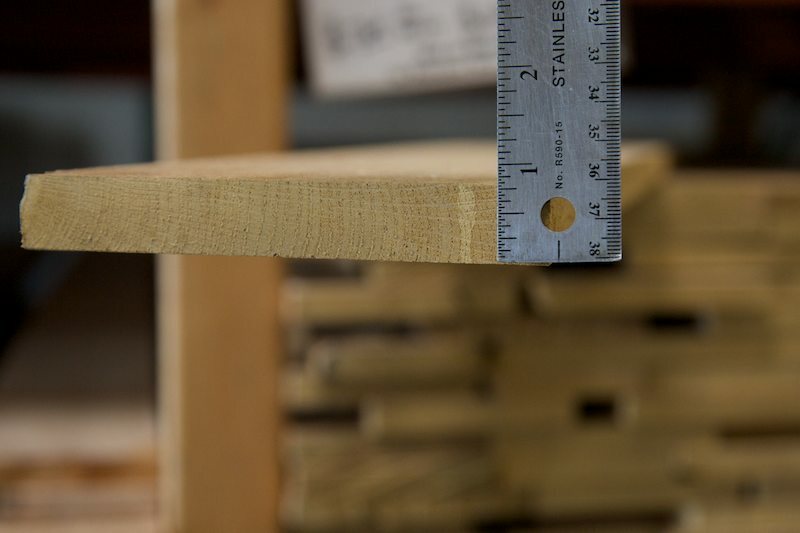 One difference between rough and surfaced lumber might not be very obvious, which is the weight. 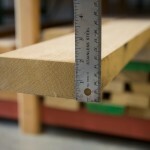 It’s commonly thought that rough lumber is cheaper because it doesn’t have the added cost of surfacing. But that’s not the end of the story. While there is a charge for surfacing lumber, surfaced lumber weighs a lot less, and this plays a big role when we transport truckloads or container loads from suppliers. For example, a flat bed truck will haul 45,000 lbs. The cost to move that load doesn’t change if load of lumber is rough or surfaced – 45,000 lbs is 45,000 lbs. But what does change is how much lumber will fit on the truck. 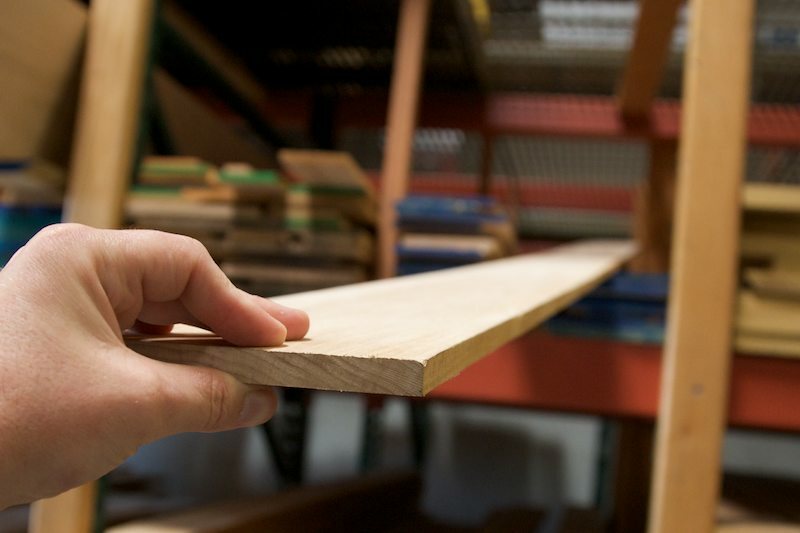 You can fit about 11,000 board feet of rough lumber or 14,000 board feet of surfaced lumber. In the end, it just makes more sense to pay the wholesaler the marginal fee for surfacing (which is about $0.10 per board foot) in favor of fitting more lumber on the truck or container. Therefore we’ve decided to stock surfaced lumber. 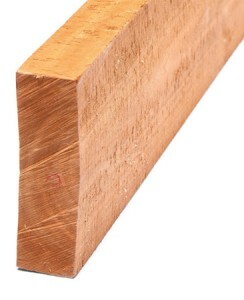 Thin lumber is a little different because lumber mills do not cut anything thinner than 4/4. 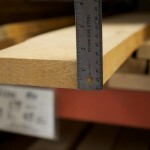 Instead, thin material like this 1/2″ thick red oak is planed down from 4/4. 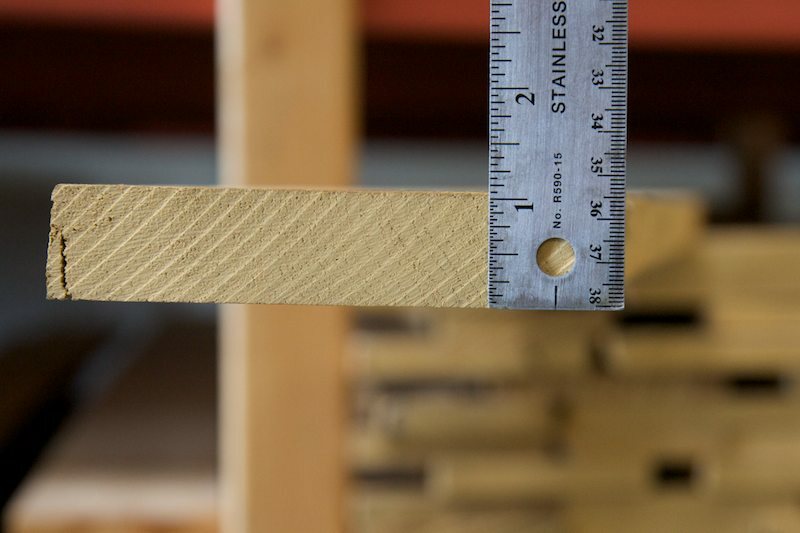 Therefore, if it’s called 1/2″, then it’s 1/2″ — and it’s sold by the square foot. Here’s a stack of 4/4 lumber. 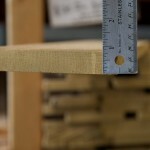 There are no standard sizes other than in thickness. 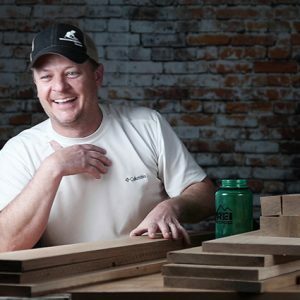 With hardwoods, you get to pick boards that suit you and your needs. 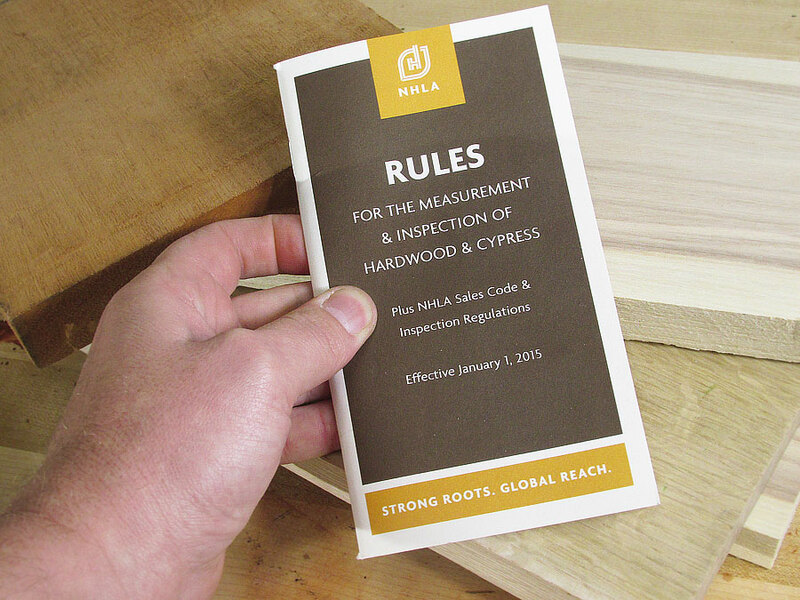 The National Hardwood Lumber Association defines the uniform system of grading rules for the measurement and inspection of hardwood lumber. This book contains all the rules.